These are the words that sum up my experience with Enterprise Fitness. I have always had a passion for the health and fitness industry but over the different stages of my life I have battled with excessive binge eating, yo yo dieting, depression and often over training to the point where I eventually fell into a heap a couple of years back. Four months ago I decided I wanted more education and guidance and wanted to take my training and nutrition to the next level as well as giving competing in a Fitness Model competition another crack. 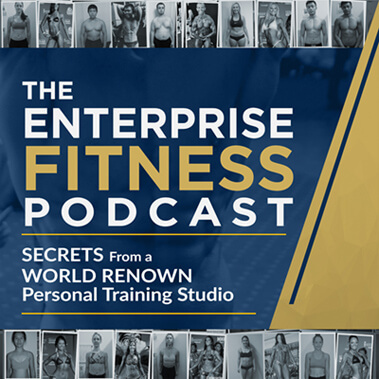 I didn’t want any old coach, I wanted the best in the business and this is when I started to do my research and came across Enterprise Fitness. As soon as I stepped foot into Enterprise I knew straight away that I had stepped foot in the right direction! What caught my eye the most was all the amazing transformation pictures of clients hanging on the wall, it gave me a sense of hope and determination and that these trainers/coaches knew their stuff! I started my coaching with Reece who I can’t speak more highly of. The people at Enterprise has been such great support and role model and is always so approachable. I have also gained so much knowledge in such a short period of time. Since starting with Enterprise, my view on nutrition and training has completely changed. I now have a healthy relationship with food and fuel my body with wholesome good foods and train a lot smarter. I competed in my first Fitness Model competition at the INBA Novice & Rookie Show and placed in all the divisions I entered which I’m extremely humbled and thrilled about. This would not have happened without the amazing support, encouragement, training and nutrition programing Reece has given me. It will be a day I always treasure as this has always been a big dream of mine! The Enterprise Fitness crew made the day run so smoothly and the whole experience was so fun and enjoyable. What I love the most about Enterprise is it is like one big family! Everyone supports one another and it is such a friendly and motivating environment to be in! I have also made some lifelong friends with fellow clients along the way. I have discovered so much about myself and my capabilities and I’m now in my best condition to date, thanks to Reece and the Enterprise Fitness team!